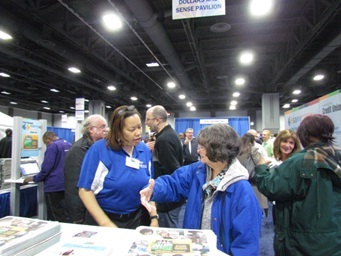 Washington, D.C.-area credit unions partnered with SavvyMoney to offer free financial checkups for attendees. Hundreds of attendees completed the SavvyMoney financial checkup and had one-on-one time with consumer financial expert Jean Chatzky. A group of leagues, chapters and individual credit unions in the Washington, D.C. area joined forces Jan. 11 to create credit union awareness and encourage financial fitness at the NBC4 Health & Fitness Expo.